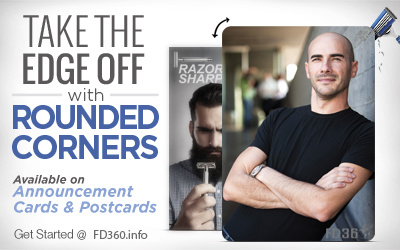 Introducing Postcards and Announcement Cards with Rounded Corners — take the edge off! Rounded corners have been in high demand for some time on these two popular products, and we’re thrilled to be delivering the goods to you now! A rounded edge is an attractive aesthetic option, and it also helps keep your products’ corners from bending. Custom T’s | Your Design Here!